Your travel bag flies free. Elodie keeps moving and doesn’t stop you when checking in at the airport. Shampoo, conditioner and spray 100 ml are perfect for those who often travel by plane. You can choose one of Elodie stylish TRAVEL BAGS to pack with your luggage or trolley. Elodie brings beauty all around the world. 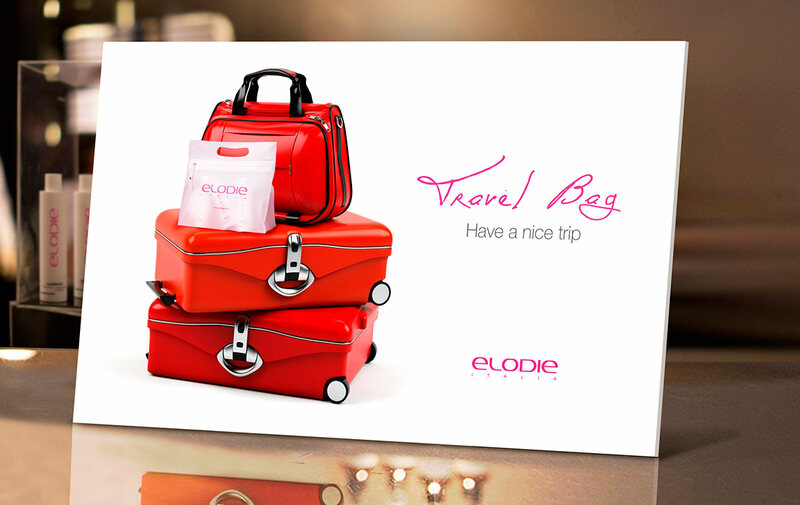 For your customers, Elodie’s TRAVEL BAGS are both stylish and practical. send a Whatsapp message at +393667391583 or fill in the form below. Your details are essential for a serious and professional contact. ALL IMAGES COPYRIGHT 2016 BY ELODIE – ALL RIGHTS RESERVED.